Randall Curren is Professor and Chair of Philosophy at the University of Rochester. He was the Ginny and Robert Loughlin Founders’ Circle Member at the Institute for Advanced Study in Princeton, New Jersey for 2012-13, and was named Professor in the Royal Institute of Philosophy (London) and Chair of Moral and Virtue Education in the Jubilee Centre for Character and Virtues at the University of Birmingham (England) for 2013-15. He is the author of 120 publications, including most recently Living Well Now and in the Future: Why Sustainability Matters (MIT Press, 2017) and Patriotic Education in a Global Age (University of Chicago Press, 2018). His work spans ethics, social and political philosophy, moral psychology, and Ancient Greek philosophy. 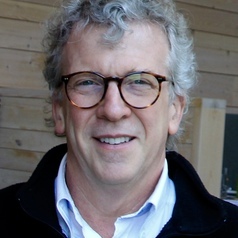 Curren is an ethicist who works across the boundaries of moral, political, legal, environmental, and educational philosophy, often in ways grounded in his scholarship in ancient Greek philosophy and often collaboratively with colleagues in other disciplines, including law, history, sociology, psychology, psychometrics, and geology. Moral psychological constructs that are important to the fabric of society have long been at or near the center of his interests: well-being, responsibility, negligence, virtues, rational self-determination, and forms of impaired agency such as weakness of will and states of denial. His 2000 book, Aristotle on the Necessity of Public Education, was a unitary interpretation of Aristotle’s Politics and Nicomachean Ethics, but substantively very much about responsibility and the relationships between education and law. His 2017 book, Living Well Now and in the Future: Why Sustainability Matters, advances a conception of human flourishing or living well that can ground a eudaimonic theory of justice and support a conceptualization of what it would mean to preserve opportunities to live well across generations.